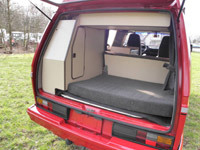 1983 - 1990 Volkswagen Watercooled T25 / T3 Westfalia Mosaik Joker Self Install History. 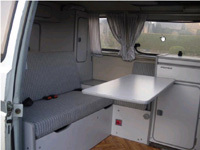 In 1983 Westfalia introduced a range of furniture and fittings called the Mosaik install programme. 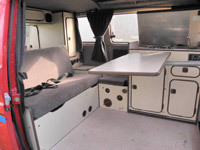 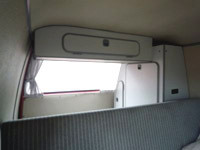 The range consisted of everything that was required for an owner to turn their own Volkswagen T25 / T3 (new or second hand) into a fully fitted camper. 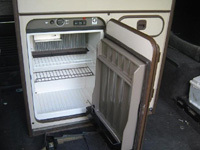 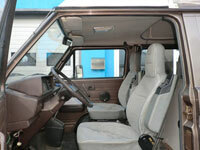 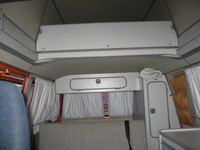 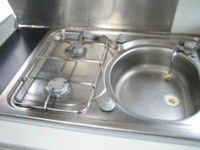 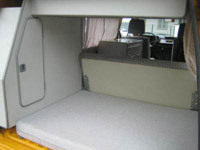 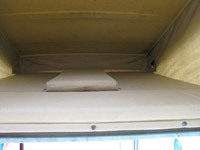 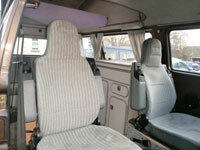 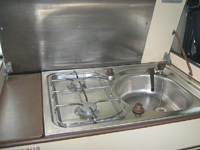 It was possible for owners to fit the equipment themselves or to have it fitted at a Westfalia dealer. 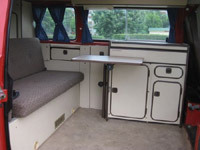 The range changed over the years to match the corresponding changes in the Westfalia factory produced models. 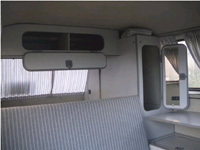 The range included pop top and hightop roofs, furniture, cushions, curtains, upholstery, gas fittings, heaters etc. 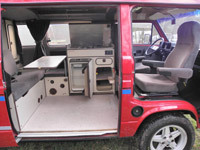 To get an idea of the wide range of products available have a look at the sales brochures and price lists in the links below. 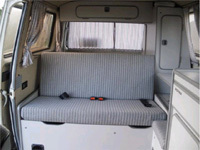 If you are thinking of buying a Westfalia camper then you may like to check if you are buying a genuine factory produced model or possibly a home built one using furniture and fittings from the Westfalia Mosaik self install program. 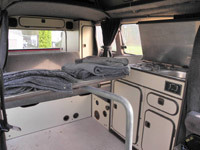 The way to spot this is discussed in more detail in the Westfalia T25 / T3 buyers guide. 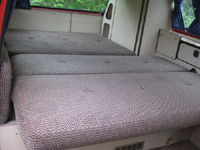 Westfalia Mosaik Joker Hightop with beige furniture / brown edging (1985). 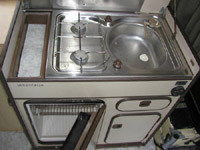 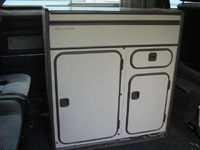 Westfalia Mosaik Joker Poptop with beige furniture / brown edging (pre 1987). 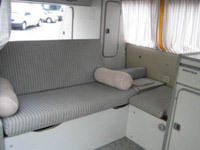 Westfalia Mosaik Joker with grey furniture / dark grey edging (post 1987). 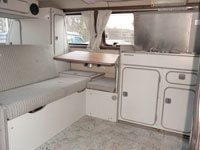 Download VW Westfalia Mosaik Joker Poptop Roof Installation Instructions (Deutsch) - PDF Format. 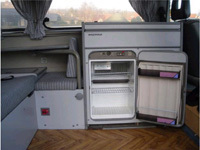 Download VW Westfalia Mosaik Joker Poptop Roof Exploded Diagram - GIF Format. 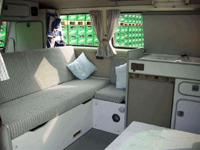 Download VW Westfalia Mosaik Joker Poptop Roof Bed Exploded Diagram - GIF Format. 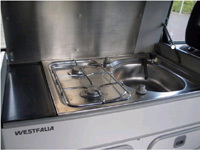 Download VW Westfalia Mosaik Joker Poptop Roof Air Roof Vent Exploded Diagram (Deutsch and French) - PDF Format. 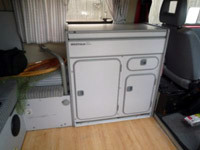 Download VW Westfalia Mosaik Joker Hightop Roof Hochdach Installation Instructions (Deutsch) - PDF Format.